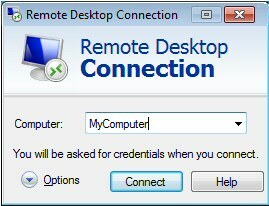 Troubleshooting remote desktop connection involves examining both the local client, and the distant network host computer. 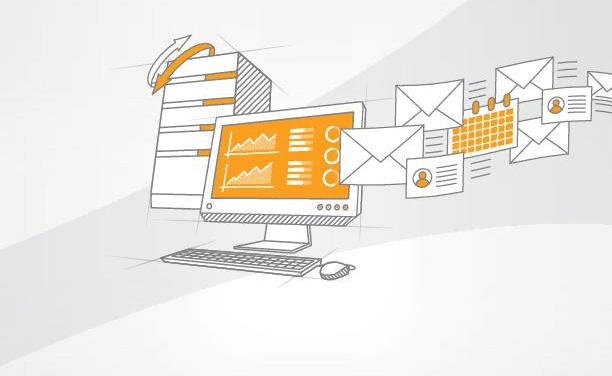 Click on ‘Start’, Control Panel, System and Security, System, Allow Remote Access. Type the name of the computer that you wish to access. I also advise you to examine the Option before you click ‘Connect’. The host computer, the distant one that you connect to, must be Vista Professional, Business or Ultimate. However, the client can be running the home premium edition. The host could also be Vista, XP or even a Windows Server. I like to reduce hassle by saving credentials in the General tab. 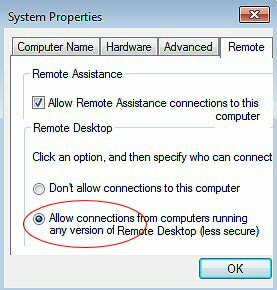 While it’s not a problem in a HomeGroup, if the computers belong to a domain then you can need to change this group policy.